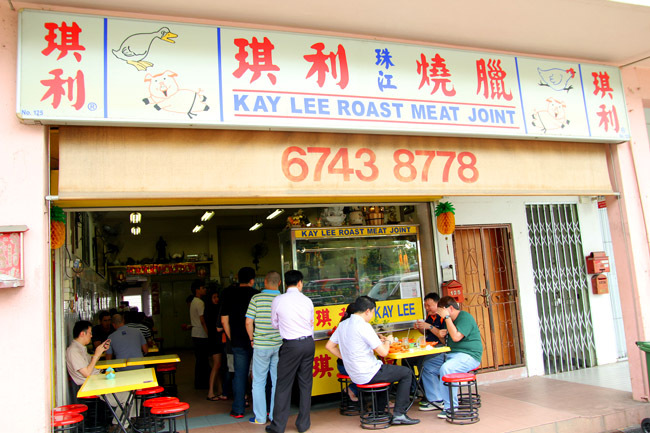 [Updated 21 Oct 2014] Kay Lee Roast Meat has been sold for a jaw-dropping sum of $4 Million. This is $500,000 more than the original asking fee, because the market value of the shop space went up. Bought over by listed company Aztech whose Chief Executive was a loyal customer, they will look into expanding the shop while retaining its original recipes and staff. Will other hawkers get some hint, and go into a recipe-selling strategy – for marketing or money? We shall see. [Previous Entry] Singaporeans should be familiar with this story – The Kay Lee Roast Meat Joint is selling their business for $3.5 million – the amount includes $2 million for the recipe and $1.5 million for the shop space at Paya Lebar. Owners Betty Kong and husband have received bids of up to $3 million, but they will not accept a cent less. Their children did not want to take over the business. On a weekday afternoon at about 2.30pm, there were still about 6-7 people in the queue. The inside of the shop, which looked quite run-down and a blast from the 80s, was fully packed. 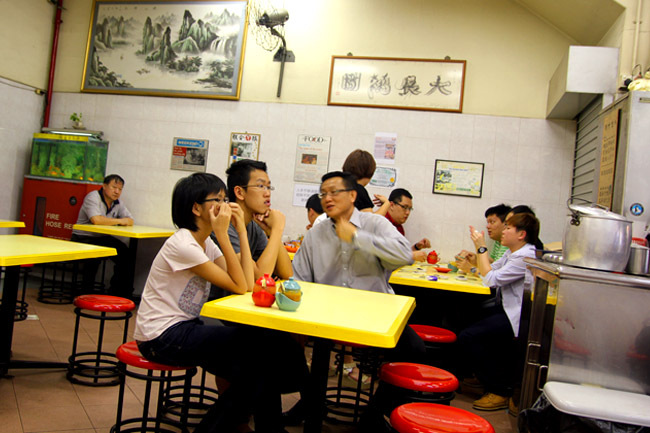 We ordered a mix plate of char siew, roast pork belly and duck – 3 of their specialities. 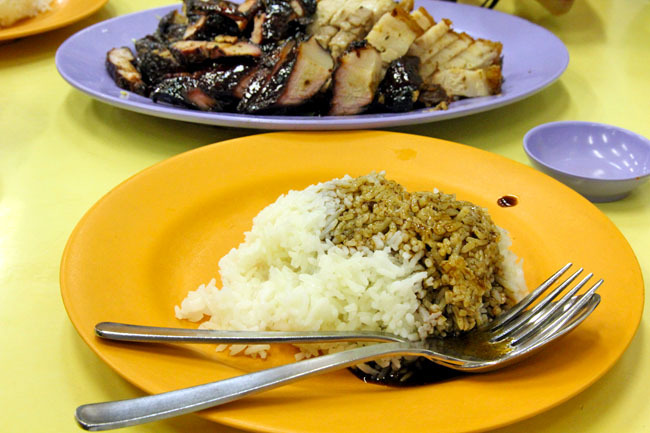 Prices start with $4 onwards for a plate of char siew rice. I could not help noticing that despite being 6th in the queue – it took more than 20 minutes before we could even order our food, partly because people in the front were taking away packets. But more because the lady boss Betty, was cutting their meats really, really, really slow. 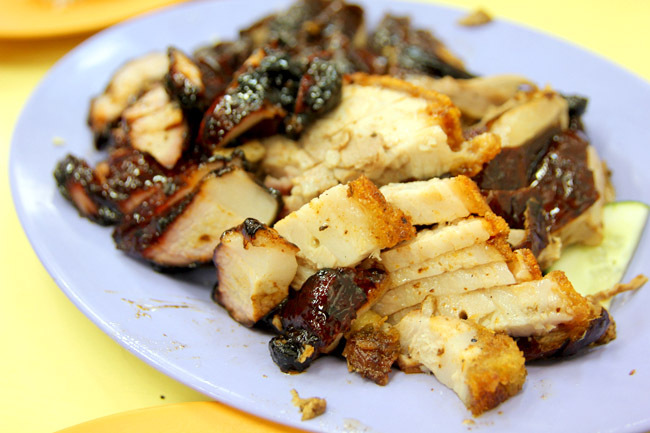 Kay Lee’s char siew arrived looking dark coloured, very lean (can’t see the fats) and crisp on its skin –its style originating from Zhu Jiang China. The meats were indeed very delicious, my favourite being the char siew for being quite original in taste, and tender despite being lean. The roast pork belly is crispy and decent, while the roast duck is on the dry side – it needed the sauce. I actually thought the winning formula is in the combination of three sauces – the dark Hoisin sauce, brownish duck sauce and pinkish sweet chilli sauce that gets passed from table to table. Delicious roast meat, but worth its $3.5 million? I shouldn’t comment on the property price, but it does not wow us enough to warrant its $2 million recipe price. We jokingly said we would just consider if there is one zero less. How about you? If you had the extra cash, would you part away $3.5 million for Kay Lee? I’ve been here alot since it’s near where I work. The roast meats are one of the tastiest I’ve had so far. Sometimes the lady boss is really grumpy! My only gripe is that it’s a little pricey. 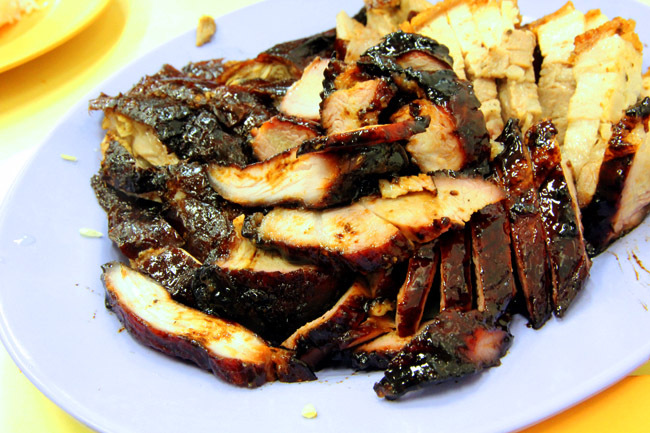 I agree on the duck too, not one of my favorites there, but the char siew is really a winner!